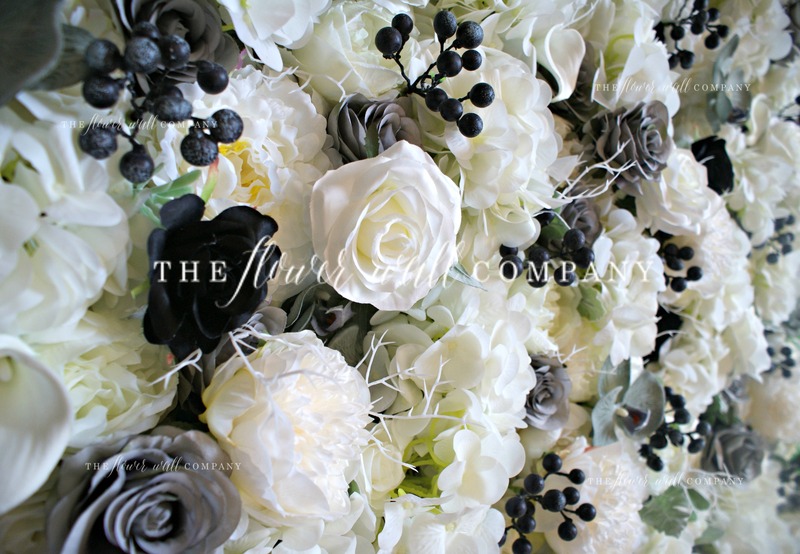 For this blog post we will be delving more into some of the key looks and inspirations behind our newly launched Autumn/Winter flower wall range, and what better floral backdrop to start with than our stunning Black Magic Flower Wall. 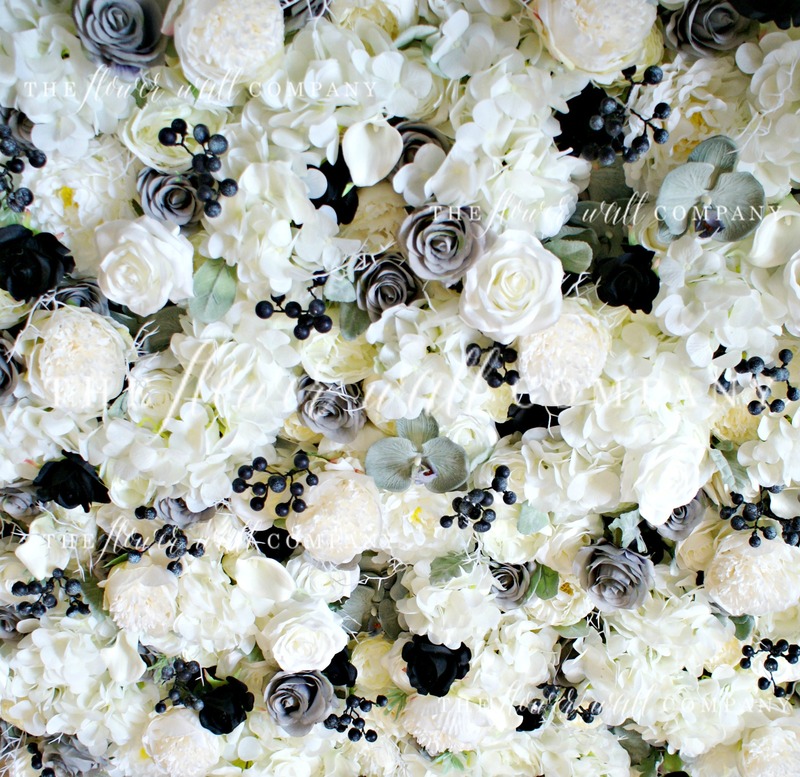 We think blacks and grays are synonymous with the colder months, and they are often used as accent colors in events and weddings with very specific themes, but we think they can hold their own in a flower wall too! Grey has been one of the hues of the year and will stay around for a while, thanks to its perfectly modern and fresh twist on being a neutral tone. We’ve woven this shade into many of our walls recently, including one our most popular ever designs, the Petra Flower Wall. 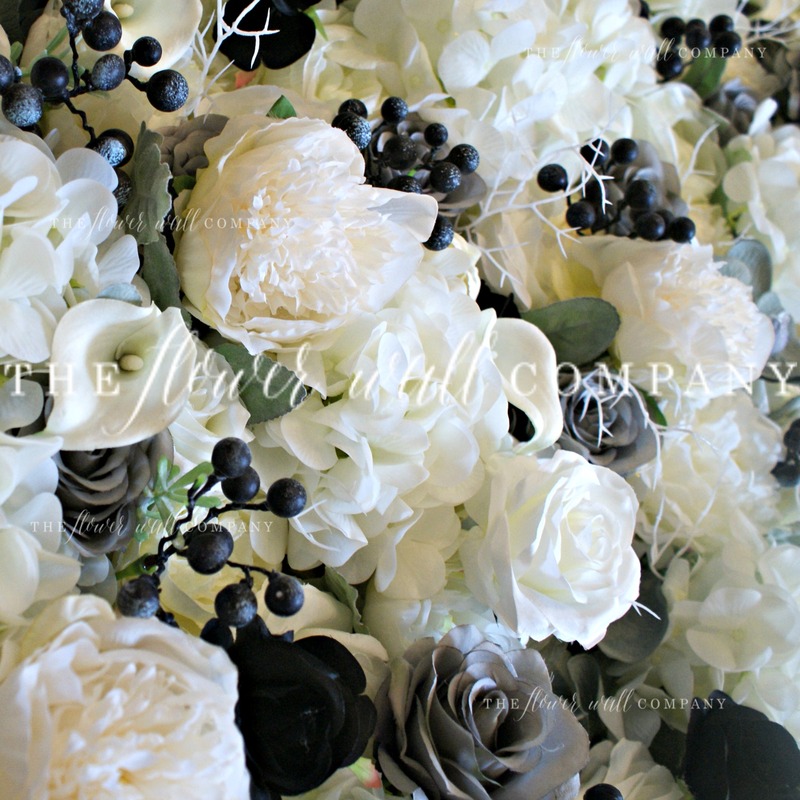 Winter conjures images of berries, and twigs in frosty, silvery and white shades with undertones of black and creams, and we’ve loved mixing the high end luxury flowers into this flower wall – this peony in particular is a larger than life luxe bloom with over 70 different ruffles and layers of silk. We hand selected what we call ‘statement flowers’ to add into this floral backdrop to distinguish it from other cream based floral walls we’ve seen. We think the .overall color scheme of blacks, dusky grays, creamy whites, pale green foliage and ivories create a spectacular effect for a versatile event and wedding flower wall. If you’re ready for a bit of Black Magic in your life, remember that with coupon code WINTER10 you can receive a 10% discount upon check out, valid until the end of August 2017. Want to see more of our Autumn Winter range? Head over to our website to see the full portfolio!